(CNN) - Despite President Donald Trump's alarm that a caravan of migrants heading to the US border from Central America was causing a "crisis" in the run-up to the midterm elections, Republican leadership in the Senate expressed little desire Wednesday to tackle the immigration issue. Senate Majority Leader Mitch McConnell, who appears on track to oversee an even greater Republican majority in the next Congress, responded, "oh my goodness" when a reporter asked about the possibility Republicans would pursue a legislative solution for participants of the Deferred Action for Childhood Arrivals program -- more colloquially referred to as "DACA" -- and other undocumented immigrants who arrived in the US as minors whose futures are in limbo. Their work permits and deferrals from deportation are uncertain as their fate is being held up in the courts. "I can't imagine, with all the things that we have to do here to wrap up this Congress, that we would revisit immigration, but who knows?" McConnell said. McConnell, as he's done before, blamed the Democrats for Congress' failure to pass immigration reform. 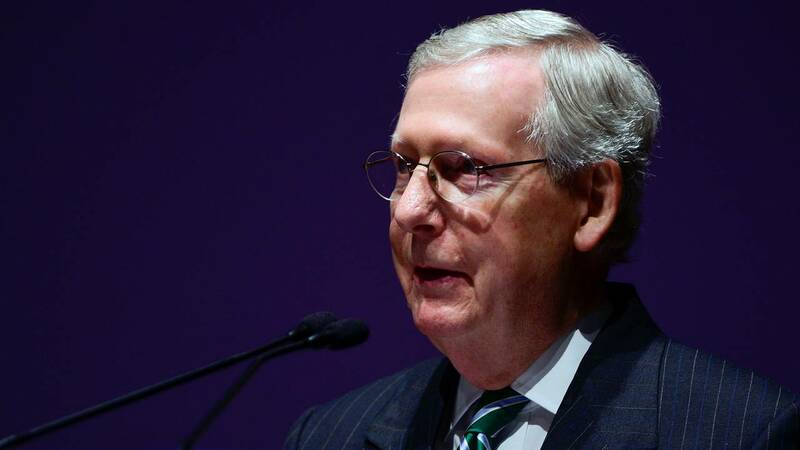 "It's on the agenda every year because we have serious immigration issues," McConnell said. "I would remind all of you all the Democrats had total control of the government in 2009 and 2010 and never dealt with the immigration issue. So it seems that no matter who's up or who's down, we have not been able to come to some kind of conclusion about what to do on immigration." McConnell refused to answer the question over whether he agreed with Trump's unverified characterization of the caravan of migrants as "criminals" and "unknown Middle Easterners" presenting a "crisis" on the border deserving urgent attention. "It's not a legislative issue. It's a question of how you want to deal with the security at the border," McConnell said. "The President has wide latitude to do that and he's taking advantage of the opportunity he has."